The fourth Australian Catholic Youth Festival will invite delegates to follow Mary’s example of saying “Yes” when it opens on the great Marian Feast of the Immaculate Conception. 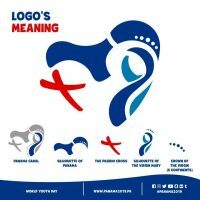 This entry was posted in Australian Catholic Youth Festival, Youth Ministry on February 14, 2019 by ACBC Communications. More than 1000 young people from across Australia will be jetting off to Panama this week to attend World Youth Day, which begins on January 22. This entry was posted in World Youth Day, Youth Ministry on January 14, 2019 by ACBC Communications. 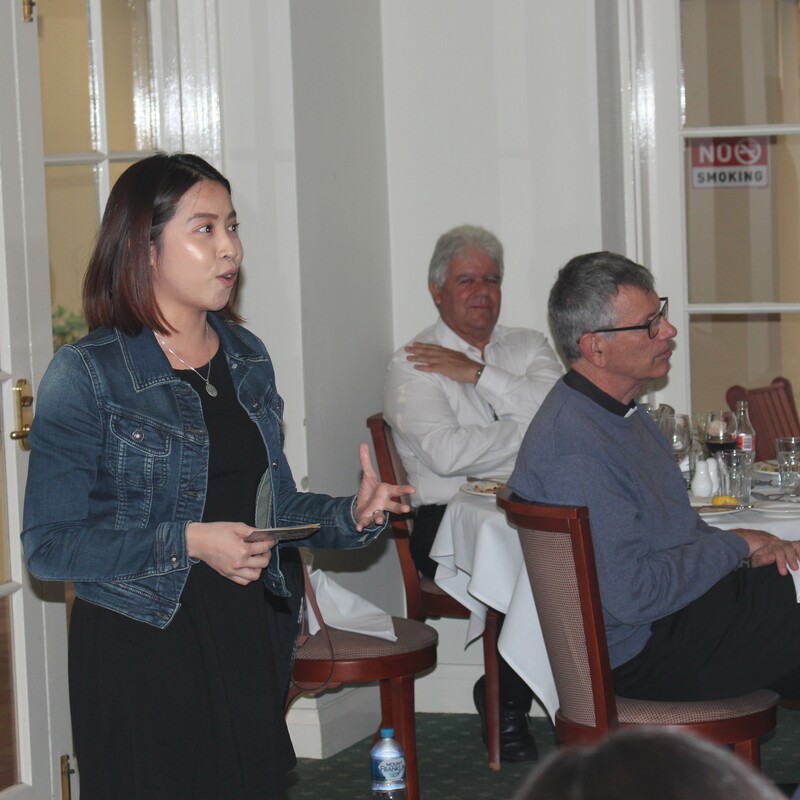 The Australian Catholic Bishops Conference welcomed a group of young Catholics from across the country to Sydney last week as the Church in Australia marked the end of the Year of Youth. This entry was posted in Australian Catholic Youth Festival, Youth Ministry on December 2, 2018 by ACBC Communications. 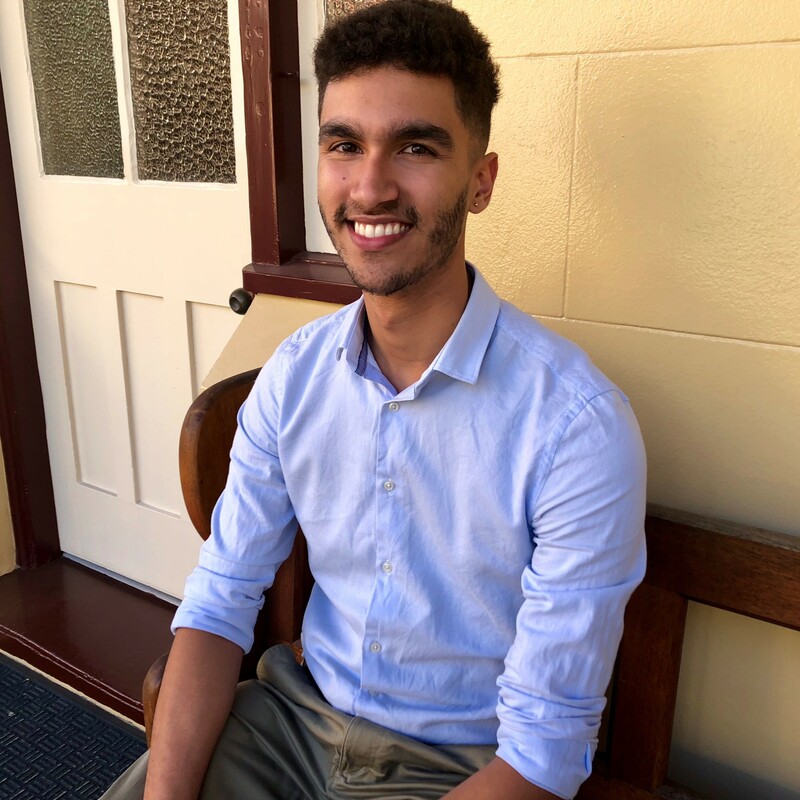 Twenty-two-year-old Sydneysider Sebastian Duhau will soon be winging his way to the Vatican as Australia’s youth auditor at the upcoming General Synod of Bishops on Young People, Faith and Vocational Discernment. This entry was posted in ACBC agency news, Press Releases, Youth Ministry on September 17, 2018 by ACBC Communications. More than 5000 young Catholics are expected to converge on Perth next year for the Australian Catholic Youth Festival (ACYF). This entry was posted in ACBC agency news, Australian Catholic Youth Festival, Youth Ministry on August 17, 2018 by ACBC Communications. 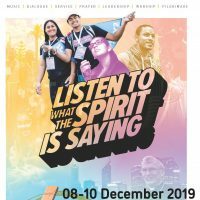 Ten years since the first national gathering of youth ministers soon after World Youth Day in Sydney, delegates will meet in Parramatta in September to identify areas for future growth and to contribute to Plenary Council 2020 discussions. This entry was posted in Uncategorized, Youth Ministry on August 12, 2018 by ACBC Communications. 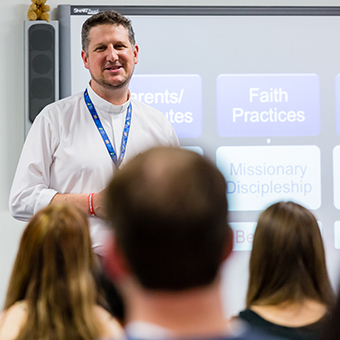 Archbishop Anthony Fisher OP, the Bishops’ Delegate for Youth, says the largest survey of young Catholics ever conducted will further shape the Church’s engagement with young people and help the bishops tackle some of the many challenges young people face in contemporary society. 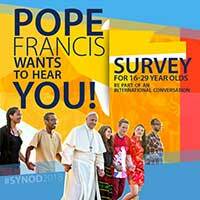 This entry was posted in ACBC agency news, Press Releases, Youth Ministry and tagged archbishop anthony fisher, Catholic, synod, Vatican, Young People, Youth Survey on July 30, 2018 by ACBC Communications. Fr Chris Ryan MGL, chairman of the Australian Catholic Youth Council Research Task Group, will speak at the research seminar. Researchers from Australia and the United States will present their findings on how young people perceive and engage with the Catholic Church during one of a series of significant events that will be held during the Year of Youth. This entry was posted in ACBC agency news, Diocesan News, Youth Ministry and tagged ACBC, ACBC Office for Youth, ACU, australian catholic university, brisbane, Office for Youth, World Youth Day, Youth, Youth Ministry on February 9, 2018 by ACBC Communications. 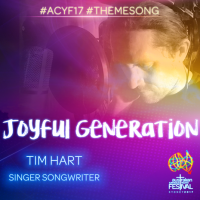 With just two weeks until the Australian Catholic Youth Festival, the Australian Catholic Bishops Office for Youth has launched the official song for the festival. 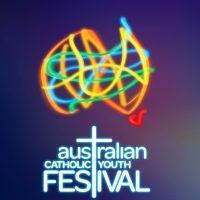 This entry was posted in Australian Catholic Youth Festival, Press Releases, Uncategorized, Youth Ministry on November 23, 2017 by ACBC Communications. Archbishop Anthony Fisher OP with young people from Sydney at ACYF in Adelaide, 2015. 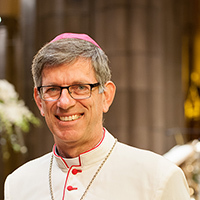 Blogging for the ACBC Media Blog this week, Archbishop Fisher continues to extend his invitation to the biggest faith festival for young people in a decade, the Australian Catholic Youth Festival, as more than 150 groups have already registered in just two weeks. The estimated group size of those registered to date has a combined total of over 10,000 participants! Excitement builds as ?? 15,000 young people from all around ?? 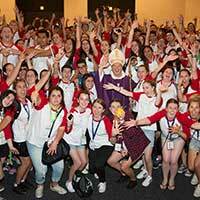 will gather in Sydney for the Australian Catholic Youth Festival, December 7-9. Pope Francis gave us our theme ”Open New Horizons for Spreading Joy” when he addressed young people at the WYD Vigil in Krakow. He gave us our subtitle ”Youth, Faith and Vocational Discernment” as the theme for next year’s Synod on Youth. So you’ll be at a mini World Youth Day and a mini World Synod.? And ”Franky” is challenging us to get off our couches, lace up our runners, and get out there expanding our horizons and spreading the joy of the Good News. It’s for Years 9 to 12 schoolies, for Uni students, and for young adults up to 30. A chance to go a bit public about your faith and ideals with 15,000 of your closest friends ???‍?‍?‍?. To ask your big questions❓ and have the Church listen to you ?. And lots of help working out what to do next with your life. 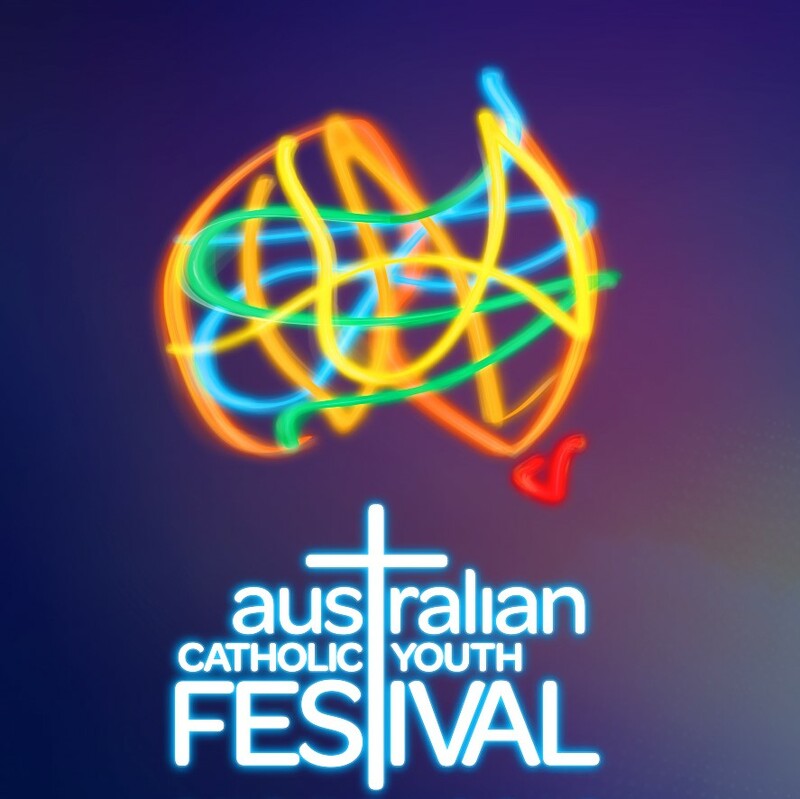 The Australian Catholic Youth Festival is for you, for Jesus, and for the future of our world. Join me from our humongous opening Plenary on Thurs 7 Dec at Olympic Park till the Mother of All Masses on Sat 9 Dec at the Domain. Pope Francis’ words are for you: “Blaze new trails… open up new horizons… spread joy: the joy that is born of God’s love and wells up in your hearts with every act of mercy!”? This entry was posted in ACBC agency news, Australian Catholic Youth Festival, Bishops, Youth Ministry and tagged Australian Catholic Youth Festival, New Horizons, Spreading Joy on May 31, 2017 by ACBC Communications. 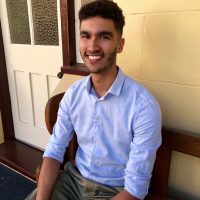 Young people across Australia are being called to share their views about life, faith, and their experience of Church through an online survey published today by the Australian Bishops. The survey seeks to capture the opinions and perspectives of young people as part of a national consultation process that will inform an international conversation in Rome next year. Australians aged between 16 and 29 years are encouraged to complete the survey. The questions cover a range of topics including: the experience of being listened to, using social media and technology, friendships and influences in today’s world, opportunities for engagement with Church activities such as, outreach programs, youth masses, community leadership or parish events. At a recent gathering of young people in Rome which has informed and helped to prepare this process, Ashleigh Green, a young social worker from Sydney said, one of her hopes for the Church in Australia is that ‘we can better engage our most disadvantaged and marginalised young Australians’. This entry was posted in Bishops Commissions, Press Releases, Special interest, Youth Ministry and tagged Research, Young People, Youth Survey on May 24, 2017 by ACBC Communications. 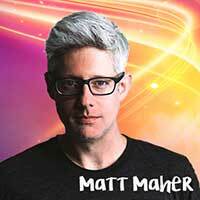 Matt Maher is arguably the biggest Catholic name in global contemporary Christian music and the Australian Catholic Bishops Conference is delighted to announce he will be coming to Sydney for the Australian Catholic Youth Festival from 7-9 December 2017. The internationally acclaimed Canadian songwriter and worship leader is heading to Australia with his band to join with 15,000 young people at the biggest Festival of its kind to be held in the country. He will perform, lead worship and provide engaging input on each day of the three-day Festival at Sydney Olympic Park including Sydney Showgrounds, Qudos Bank Arena and The Domain. Archbishop Anthony Fisher OP, Archbishop of Sydney and the Australian Catholic Bishops Delegate for Youth made the announcement today. 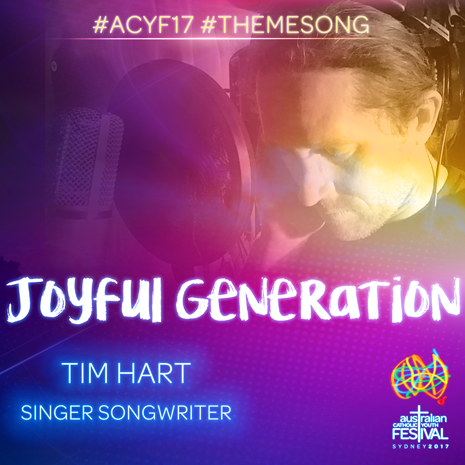 This entry was posted in ACBC agency news, Australian Catholic Youth Festival, Press Releases, Youth Ministry and tagged ACYF, Australian Catholic Youth Festival, Matt Maher, Pope Francis on May 17, 2017 by ACBC Communications.